After a serious start to this weeks Shop Shots, this is something a little more fun. I pulled a 2013 EOS in my bay to replace the trunk latch. Nothing serious, the trim cover would not stay on. While I was backing the car in, the camera popped on with this view. It caught my eye because it makes my bay look like a giant mess. That is true sometimes, but not so much this day. 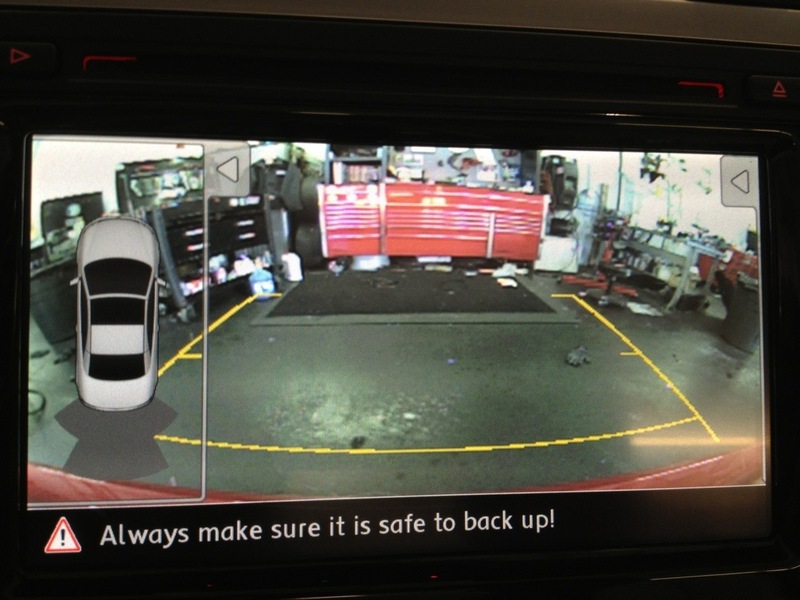 Then it got me thinking, even though VW backup cameras are really good, you need to follow the instructions on the bottom of the screen. No matter how much technology new cars get, you still need to pay attention. The last picture of the day comes as a warning to be careful when modding your Golf R, or any car for that matter. 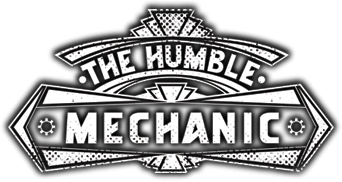 We have talked about a dealership mechanic’s view on modified cars before. I generally don’t care much about folks bringing their modified cars into the shop. This is the propeller shaft on a newer Golf R. The prop shaft connects the transmission at the front of the car to the rear differential in the back of the car. It is a key component in the 4motion system. This customer had a custom exhaust installed. When they installed the exhaust, they had to unbolt the front side of the prop shaft. Fast forward to now, he has a horrible vibration on acceleration. I test drove the car with him to very the vibration. 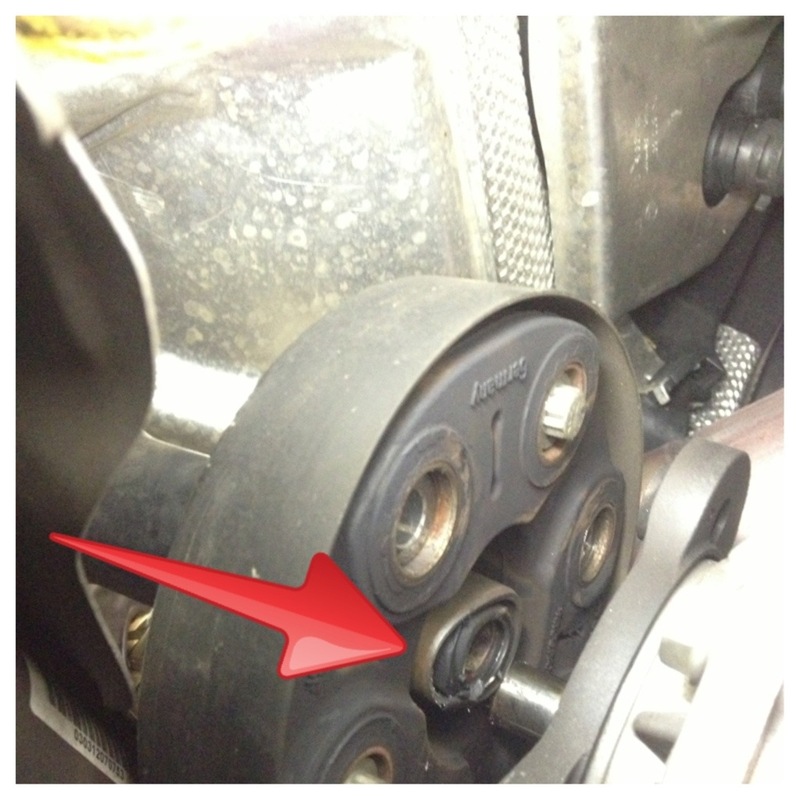 On the ride, we talk about leaving bolts loose, and not properly torquing them. I put the car up in the air and find one of the bolts missing, and the bolt hole not lined up. I ordered all new bolts for him so we could get the car fixed. When the bolt came in, I attempted to install them. Notice I said “attempt”. I spent about an hour trying to get the bolts installed. The threads would not line up properly. Finally I pulled the front of the prop shaft off and found this. 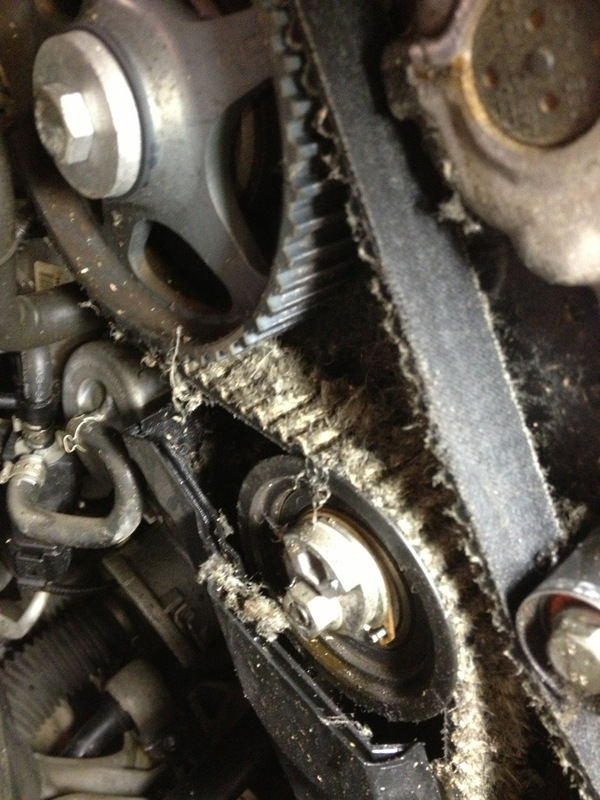 The sleeve that goes into the transfer case was severely damaged. I spent another hour just trying to get the prop shaft back on the car. The only repair for this damage was a new prop shaft to the tune of about $1700. The moral of this story is, you gotta pay to play. I feel bad for the guy, but modding a car is not cheap. That does it for another round of Shop Shots! I hope you enjoyed the pictures this week. I sure enjoy sharing them with you. A few reminders before I sign off. If there are topics you want me to talk about, post them in the comments below. If you post a comment, be sure to check the box that says “ Notify me of followup comments via e-mail ” Then if you ask a question, you will get an email when I or someone else in the community answers. Thank you all for your support. This community means a lot to me, I really apprciate each and every one of you. I may not say it enough, but I think it all the time. A lot of great information on this site! Thanks for sharing! Did u provide auto repairing services? Not really sure what you are asking Edward. if our vehicle is out of order to whom we call to reach auto repair shop?